A lovely little treat that can be made for that craving after dinner or to be added to yoghurt as a snack. Using a fork take out 3 almonds at a time and transfer onto a sheet of baking paper, stack them on top of each other. 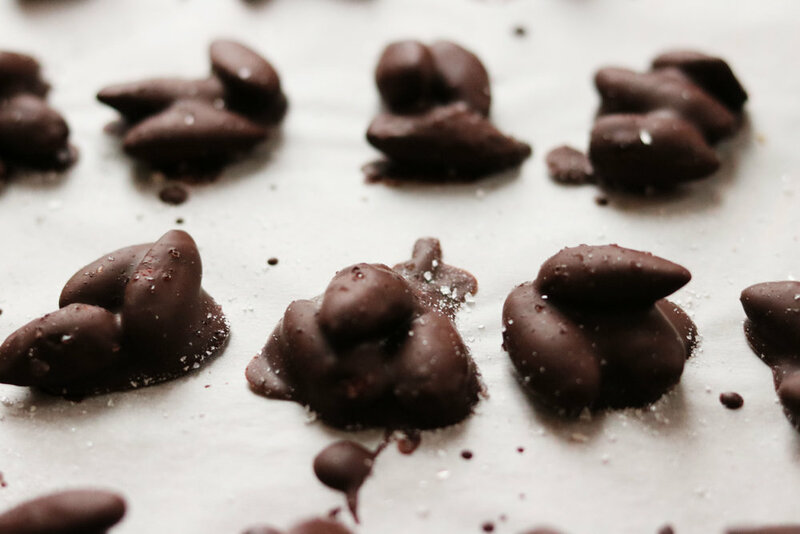 Repeat until you have used all the almonds, making 30 clusters.